What&#39;s up with the green speeds? What's up with the green speeds? After what can only be described as a challenging summer for growing bermudagrass greens (too cloudy, too wet and too cool), we have been blessed with great growing conditions since early September. This "Indian Summer" has really helped us recover some of the turf density on the greens that we had lacked at the end of August. In prior years, we have had a very difficult time getting the height of cut on our greens raised before winter. 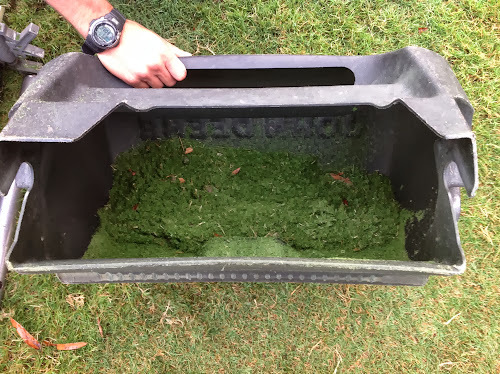 This has been caused by a combination of very cool nights during or soon after the TOUR Championship and the growth regulator we use from spring through the tournament. This year - perhaps in keeping with the year-long theme of "unusual weather" - we have had terrific warm, sunny days with moderate nighttime temperatures. These conditions enabled us to raise the height of cut from .100" to .120" (prism gauge readings, not bench setting) very quickly, and we continue to mow quite a lot of grass every day. Contrast this with prior years when we struggled to get the grass to grow to our desired height of cut, and we didn't even have to mow greens every day. The higher winter height of cut is important for two reasons: it helps prevent green speeds from becoming too fast and unplayable while they are dormant, and more importantly, it helps the turf become a bit more cold tolerant. A few cold mornings, and especially some frost will bring green speeds back to normal standards. In the meantime we will begin spraying growth regulator again until we get Mother Nature's help with the cold and frost. The ball roll remains incredibly true, the fairways and tees are nearly perfect, and the weather is beautiful, so come on out and play some golf! The contents of this bucket is taken from 18 green. A considerable amount of grass from only one green.